ASK THIS OLD HOUSE: Pondless Water Fall — Nawada Landscape Design, Inc. The homeowners wanted a water feature at their home, but were concerned about maintenance and safety purposes. The solution was a Pondless Waterfall. In the wide-open space of the backyard, the design followed the contour of land with a 10’ long waterfall cascading down three tiers. The waterfall is pondless and constantly recycles water through an underground reservoir. The area is lined with a rubber liner and the structure is created by using modular plastic blocks. The blocks are arranged into a vault, where the water drains and the pump housing is stored. The vault sits lower than the blocks so the base/foot of the vault can collect water. 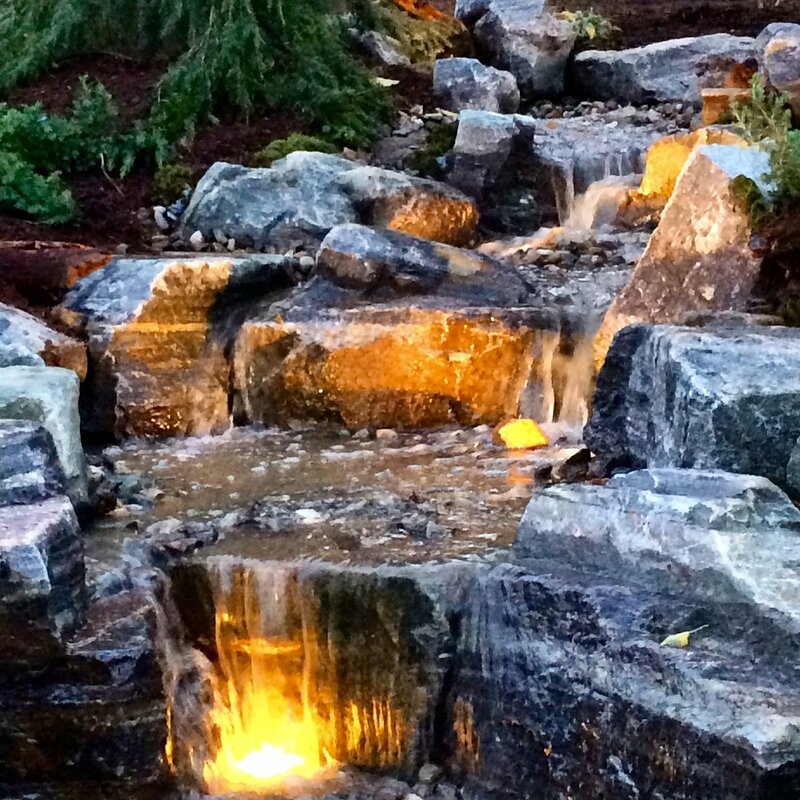 Boulders and river rock were brought in to mimic the natural contours of a river bed. The submersible pump was set at the appropriate depth in the vault to collect water. An outlet pipe is connected to a flexible pipe that carries water to the top of the waterfall spillway from where the water emerges. The streambed is made of gravel smaller than the river rock and defines the area of water flow. Underwater lighting and native plantings were installed to put the final touches to this stunning outdoor focal point.